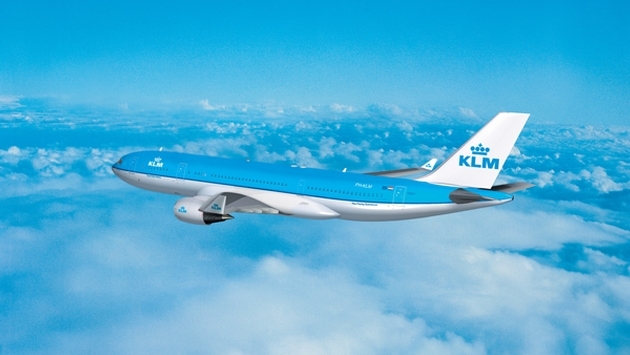 KLM Royal Dutch Airlines is now the first airline to use social media as a payment and booking platform. Facebook and Twitter customers can now rebook a flight, make a reservation, arrange extra baggage, or pay online through these channels. The importance of social media has been steadily growing in this space, enabling passengers to arrange extra services, but KLM has broken new ground allowing payment. According to KLM, the airline’s passengers have been asking for the ability to use social media this way. The process is relatively simple. KLM sends a link to the customer in a private message on Facebook or Twitter. The customer can then select their preferred method of payment and complete the transaction. The social media service agent at KLM then receives a message to say that payment has been received and the customer in turn receives confirmation of the payment. KLM now employs 130 social media agents who answer around 35,000 queries on Facebook and Twitter every week. Last week KLM welcomed its 5 millionth Facebook fan, making KLM the airline with the most fans in the world. Even as it battles critics of its labor policies and challenges from several quarters, Norwegian Air (NA) continues to push forward as a major low cost trans-Atlantic carrier. The airline’s aggressive fleet expansion continues. NA ordered four more Boeing 787-9 Dreamliners, bringing its total current order to 14 wide-body aircraft; three of which are already in service. NA is currently operating its long haul routes with 787-8s, which are smaller than the 787-9 aircraft. The new Dreamliners are expected to enter service in 2017 and 2018. The 787-9 Dreamliner accommodates more passengers, is more fuel efficient and more environmentally friendly than the 787-8. “In order to run a competitive long-haul operation, we are dependent on brand new, cost-efficient aircraft,” said Norwegian’s CEO Bjørn Kjos. The 787-9 Dreamliner accommodates up to 20 percent more passengers than the 787-8 Dreamliner. It is 20 feet longer, significantly lighter, has increased cargo capacity, has eight percent lower fuel consumption per seat than today’s model (which also means lower emissions), and can fly longer distances than the 787-8. 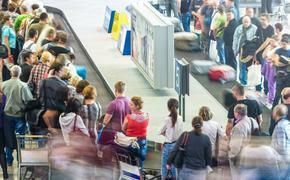 With competition intensifying in the Scandinavian airline industry, SAS is taking the high road by adding value to its product. On April 1 several enhancements will take effect for the 3.2 million EuroBonus members. SAS first created EuroBonus in 1992 as a frequent flier bonus program. Since then it has added a range of benefits and services from various partners, and this range is now being further increased. The new features of EuroBonus will be especially focused on those who fly most. Gold members who give a silver card as a gift will get two extra bags included and increased availability of bonus trips. The entry level for Silver membership has been lowered to five return trips. Silver members will now have access to the lounge and Fast Track during selected periods such as Christmas and summer. Finnair and its oneworld partners, Japan Airlines and British Airways, are joining forces to create more convenient connections between important hubs in Europe and Asia. After April 1, passengers will be able to mix and match flights on all three carriers for the most convenient scheduling and best pricing. Finnair, which has placed a special emphasis on its Asian network for more than a decade, flies daily from Helsinki to Tokyo and five times per week (daily in summer) to Osaka and Nagoya, connecting Japan to more than 50 Finnair destinations in Europe. The carrier has long recognized that it can reap more traffic using Helsinki as a transit point for passengers on their way to Asia and vice versa than as a carrier defined strictly as a flag carrier to and from Finland. Finnair carries more than 8 million passengers annually and connects 13 cities in Asia with more than 60 destinations in Europe. Japan Airlines and British Airways are also increasing their scheduled services between Japan and Europe this summer, as well as improving timings of the flights. From May, two additional weekly services means British Airways will fly twice daily to Tokyo with daily flights to both Haneda and Narita airports, and Japan Airlines will launch new day-time nonstop flights from March 30, 2014, between Haneda and London. Both Osaka and Tokyo are major hubs not only for passengers flying into Japan, but also for those flying through to other destinations in Asia. LOT Polish Airlines is now allowing passengers to use personal electronic devices (PED) on board LOT’s aircraft in flight mode. Passengers may keep these devices switched on throughout the journey including take-offs and landings. They may use all the functions on their phones, tablets, MP3 players or cameras, but without the use of the cellular signal (making calls or sending SMSes). The use of PEDs on board LOT’s aircraft was driven by a decision of the European Aviation Safety Agency (EASA) which stated the use of electronics on board planes does not affect aircraft operations provided the flight mode (non-transmitting mode) is switched on.